South Charlotte Dentistry is here to help you build confidence in your smile while keeping your oral health in check. One of the greatest challenges for achieving a white, confident smile is dealing with teeth staining. Getting your teeth to a pearly white is important for the perfect smile, but sometimes we still cannot avoid those harmful food and drinks that stain our teeth. So how do teeth become stained, why do they yellow, and what is the chemistry behind teeth staining? 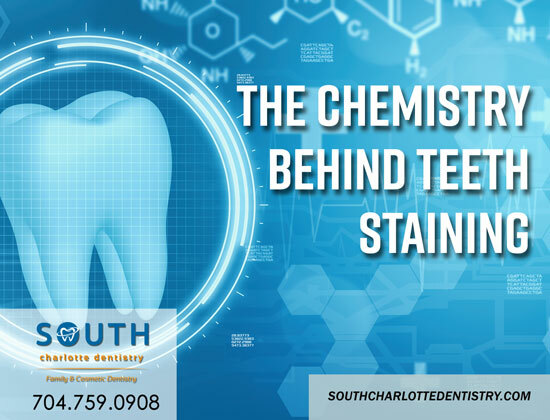 South Charlotte Dentistry wants to help you understand why your teeth stain, how to prevent teeth staining, and how to make your teeth whiter after they have been stained. Genetics play a large role in everything and stained teeth are no exception. Have you ever wondered why some people naturally have whiter smiles or why others appear to have been born with yellowish teeth? It is all about the genetics. Genetics can affect everything from the natural color of your teeth to making your teeth more susceptible to staining. Before you starch everything off to genetics, hold on a moment, because we want to share the whole, complex science behind your teeth. First things first! Teeth are made of complex substances formed together to help you chew food. The outer layer of the tooth is referred to as the enamel, and this is made of crystalline calcium phosphate. Enamel is strong—in fact, it is the strongest substance in the human body. 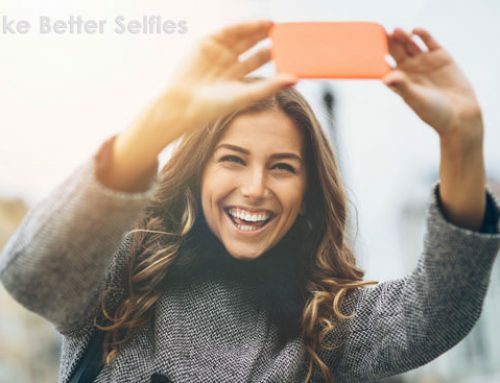 However, it does not contain collagen, meaning that it will not continue growing once formed and if the enamel erodes, unfortunately it will not form more. Enamel is also porous and somewhat translucent. Underneath this layer is the dentin, which is a slightly softer substance and yellow in color. The dentin actually makes up most of the tooth. The yellow color for the dentin layer of the tooth comes through when enamel is eroded or teeth are unclean. Teeth can stain from the inside of the tooth or from the outside of the tooth, and these are called intrinsic stains and extrinsic stains, respectively. Both types of staining can cause your teeth to turn a yellowish color and are treated in different ways. When deciding on the whitening method that is best for you, it is important to determine with your dentist which type of staining fits your teeth. Extrinsic staining occurs when your teeth come in contact with something that stains the enamel. Attention all wine and coffee lovers: your teeth are in danger. Enamel can stain easily from food, drinks, and smoking. When you eat and drink certain foods, a layer of pellicle forms on the enamel. Pellicle can be scraped away with a toothbrush or at the dentist’s office. When pellicle sits on the teeth for a long period of time it can cause stains by seeping into the dentin, which happens because the enamel is porous. This is why it is so important to brush your teeth after eating or drinking foods that are dark in color. Saliva helps protect your teeth be creating a slime that covers your teeth. Saliva helps break down food, which in turn helps keep your teeth from staining. If you suffer from dry mouth, you are at a higher risk of teeth stains. Stains can also develop on the teeth as a sign of aging. Over time, the dentin becomes yellower. This is a combination of extrinsic and intrinsic factors. With age, the enamel also grows thinner, enabling the yellowed dentin to become more prominent. 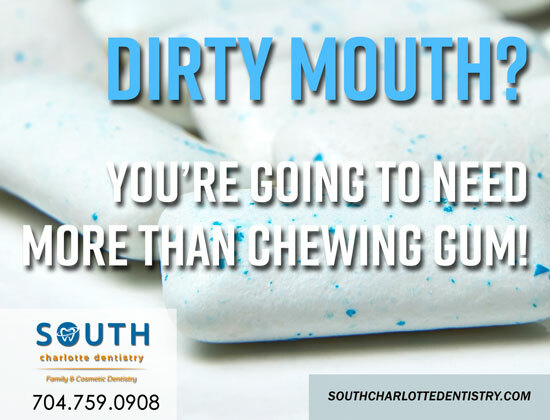 Schedule regular exams at South Charlotte Dentistry for routine visits, cleaning, polishing– During these visits, you will be able to speak with a dentist about your teeth whitening goals. A dentist can help you identify which type of stains are affecting your teeth. The dentist will remove surface stains during routine cleansing. These appointments should be made at least every six months. Brush your teeth after every meal– This will help you eliminate surface stains before they set on your teeth. Make sure to use a toothpaste that contains fluoride. Floss daily– Don’t forget to floss every day. 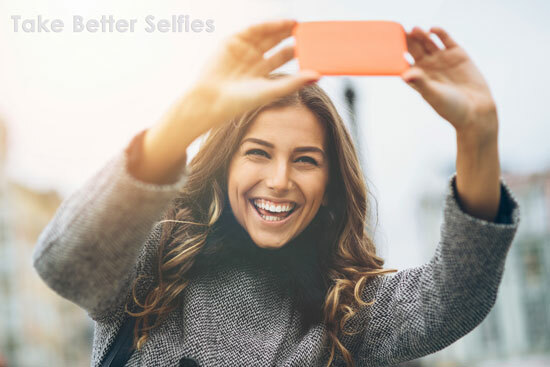 The small spaces in-between your teeth really make a difference on your oral health and, believe it or not, play a role in the color of your teeth. Limit foods and beverages that cause staining- Switch things up! Don’t be afraid of swapping coffee for green tea or red wine for white wine—small lifestyle changes can really help your teeth in the long run. If you know you will be drinking or eating foods that could stain your teeth, try brushing beforehand and swishing your mouth out with water afterwards. Extrinsic stains are easy to fix. The best method is to come into our office for a bleaching gel treatment. The bleaching gel is quick and very effective. You can see a noticeable difference after just one professional application. You can also use home products like whitening toothpaste and whitening stripes, but these methods are very weak and will show only small results. In fact, you can even bleach your teeth from home but it can be a bit dangerous. If you bleach from home it is important to make sure you to not get the bleach on your gums. Gums are susceptible to burns and this could cause serious damage. Bleaching gel for home use is also not as effective and will show less whitening results. Intrinsic stains can only be treated by a professional. These stains are more difficult to remove, and it takes longer to see whitening results. To help improve the tooth color after an intrinsic stain, a combination of UV light treatment mixed with bleaching gel and cosmetic restorations might be used. 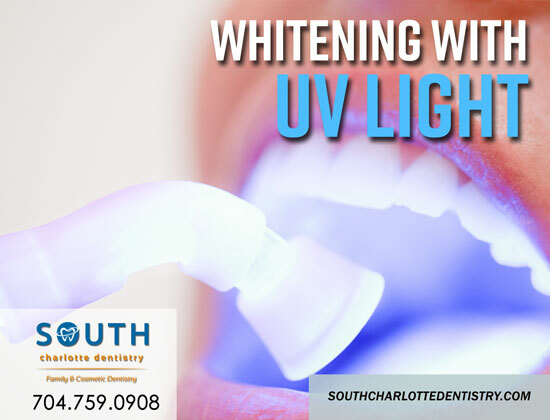 If you are ready to discuss your teeth whitening goals or have questions about your oral health, make an appointment with South Charlotte Dentistry. Call our office at 704-919-5873 to start your journey to a confident, stain-free smile today. Smiling is Good for Your Health!